Geotechnical engineers can use this software for day-to-day analysis and calculations. 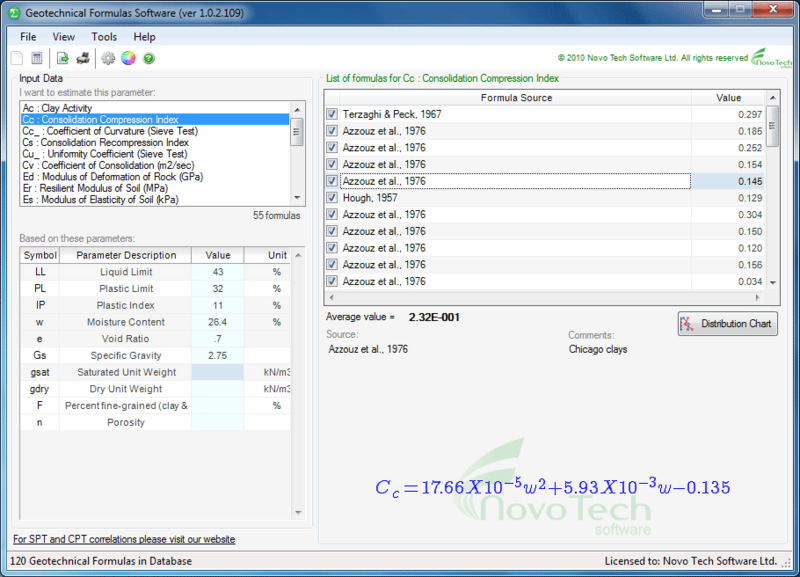 NovoFORMULA is used for estimation of soil properties based on other soil properties (example: consolidation Cc from moisture content). This is a very handy software which should be installed on every geotechnical engineer's computer. Visit us at novotechsoftware geotechnical-software/geotechnical-correlations-software/ for more information. Novo Tech provides excellent support. Please feel free to contact us.